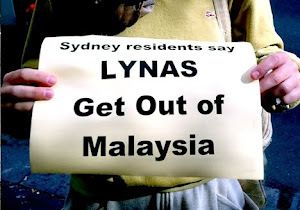 Sydney says NO to Lynas! 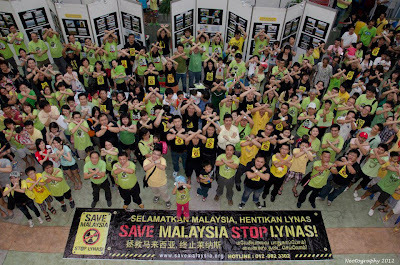 The government’s refusal to acknowledge and take on board citizens’ concerns and strong opposition to the Lynas project despite on-going public protests since the issue became known last March is a slap in the face of democracy. The Stop Lynas campaign is now the largest ever environmental battle in the country and support from overseas is gaining momentum. 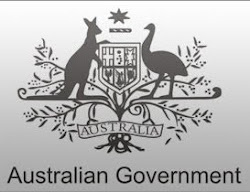 It has certainly compelled many citizens to weigh out their development priority between wealth and the sustainability of the natural environment as well as their health. 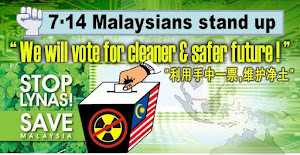 It has also raised awareness amongst citizens to vote for a party that will secure them a clean and healthy future. A mock referendum was held in all of the Malaysian locations to prepare people for the next election and to educate people to vote to protect their future. 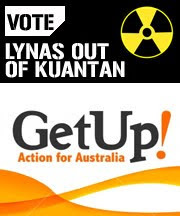 “An overwhelming 99.9% of the 20,000 over people who were eligible to vote opted for the Lynas project to be stopped. 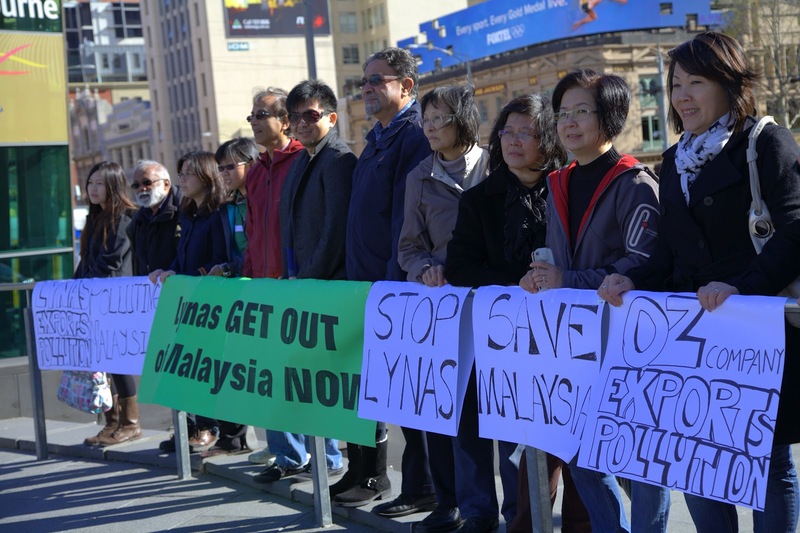 For so many people to come out to show their opposition, it is a clear indication that Malaysians are ready to vote wisely at the next election.” Said Ram, another spokesperson from SMSL actively involved in the campaign. 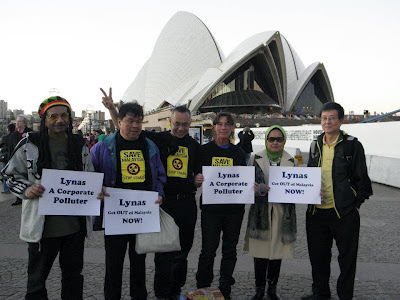 The Lynas rare earth refinery plant was constructed without any prior informed consent from local communities and citizens who will be getting the blunt end of the raw deal of permanent pollution risk whilst Lynas will be making a hefty profit tax—free. 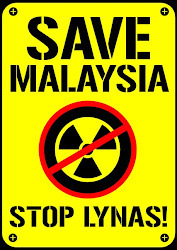 Malaysians will be living under the shadow of radiation contamination for ever from the world’s largest rare earth refinery built and managed by a company with no prior experience dealing with the complexity of rare earth pollution. Worst, this world-scale refinery is situated in a peat swamp area only 3.5km from the South China Sea, an important seafood and tourism hotspot! Also, dont join other groups in Malaysia when they are protesting about something different i.e. 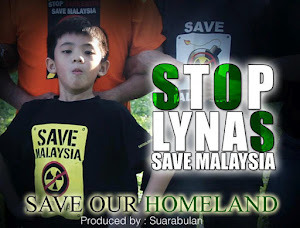 Bersiah and claim that those protestors are supporting you against Lynas. 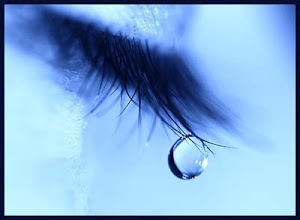 Its simply not true. 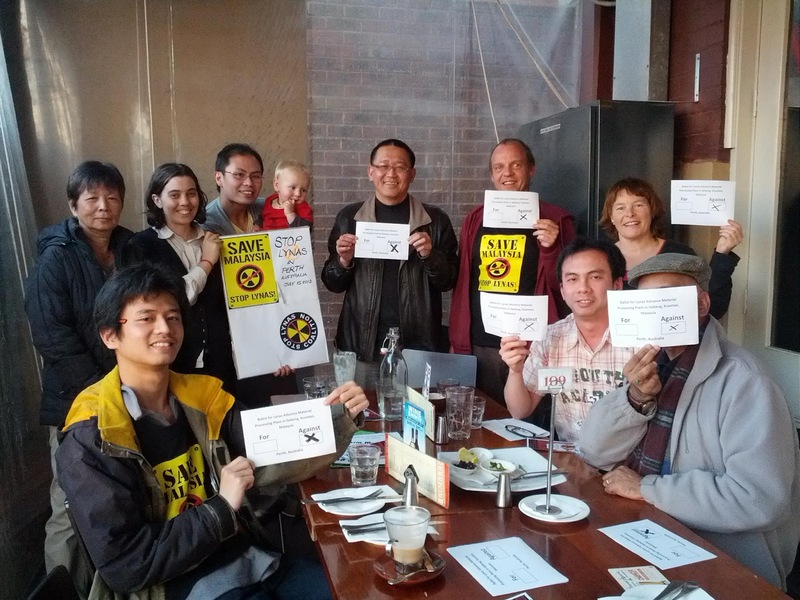 At bets you have 300 steadfast supporters. You use to have 1000's until more facts arose, now your support is dwindling. 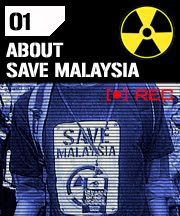 I am against the current Malay government, they are a bunch of corrupt cronies. 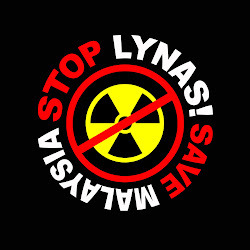 But I am also against ignorant people such as SMSL. Also not ethat Roxby Downs protest has nothing to do with Lynas. 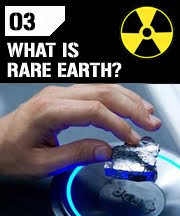 It relates to Uranium mining. 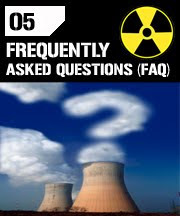 And if one of you proponents try to say "But its about radiation". 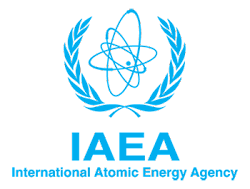 Note this: EVERY MATERIAL IN THE WORLD HAS RADIATION based on the fact that all elements have a charge. EVEN BANANAS (Still need to remind you). 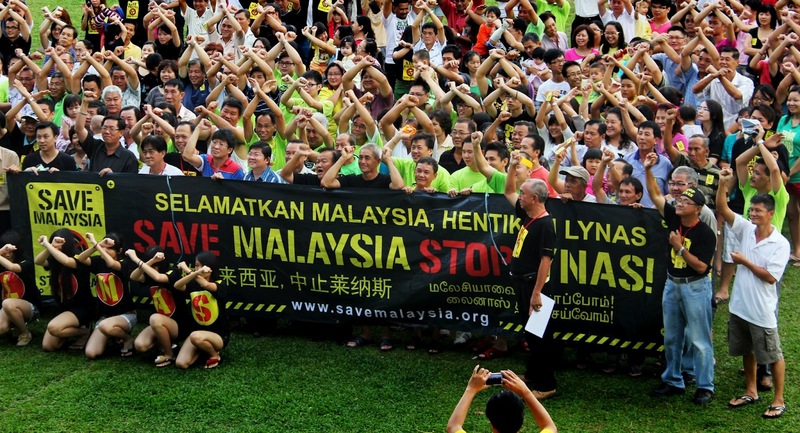 GREAT NEWS FROM FREE MALAYSIA TODAY. SMSL are you getting scared yet. YOURE NEXT!!! 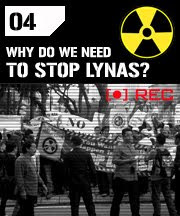 We refer to the articles previously published by us which claim that the Lynas plant may be unsafe. We apologise for these publications as such claims do not have a scientific basis. 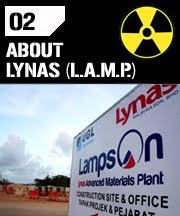 The regulatory review of the Lynas plant has been thorough and diligent. 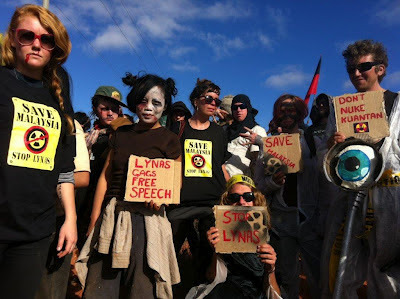 726 - Defend the right for freedom of speech! 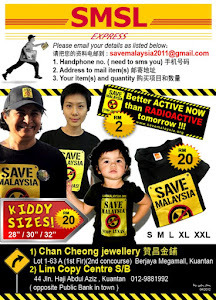 Academy of Sciences Malaysia – in Whose interest?